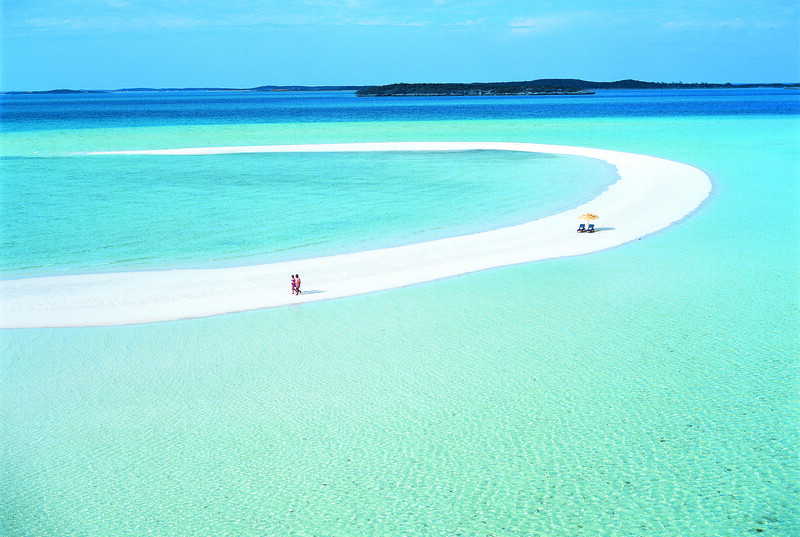 The Bahamas is comprised of 700 islands and cays sprinkled over 100,000 square miles of ocean. Some of the beautiful locations uninhabited to others packed with resorts. 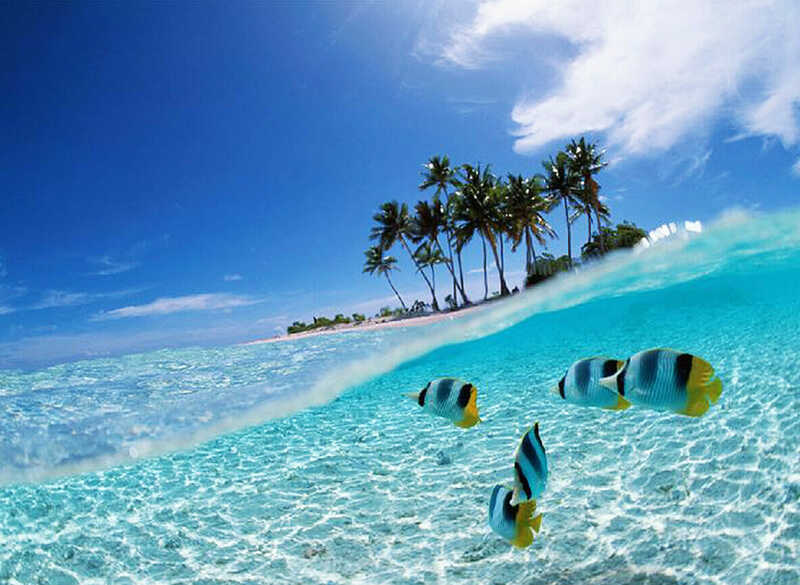 The coral-based archipelago is an ecological oasis, boasting the clearest water on the planet. Just pick out a yacht and let us handle the rest! We will coordinate an unforgettable charter to Bahamas for you and your guests. Just sit back and relax and be spoiled by our professional crew! Charter a yacht to the Bahamas and get away from the mainland with an adventure to Bimini, a chain of small islands situated just west of the Bahamas that are only a three hour boat ride away from Miami and South Beach. Bimini is known for its laid back lifestyle, with its pristine white sand beaches and picturesque nature trails waiting to be explored. For divers and snorkelers, Bimini offers the finest possible experience. 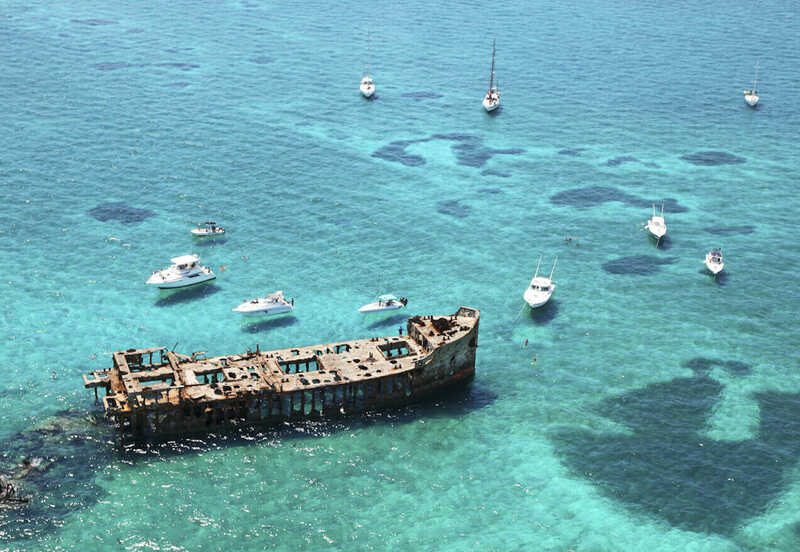 Swim up close with dolphins and stingrays, or explore the mysterious remains of a shipwreck. Bimini is also rich in culture and history and is home to many landmarks that can be visited by boat. One of the most well known is the Bimini Road, an unusual underwater rock formation that dates back centuries and is believed by some to be the remnants of an ancient human-created road. Located near the underwater Bimini Road is what some believe to be Ponce de Leon’s Foundation of Youth. This pool, which locals call the Healing Hole, lies at the end of a network of underground tunnels that pump out cool, fresh water during outgoing tides. Charter a motor yacht with us to explore this beautiful island chain for a vacation you’ll never forget. With sapphire-blue water everywhere, The Exumas are an exotic collection of dream destinations. Footprint-free beaches and ultra exclusive resorts and islands fit for celebrities make this tropical paradise an absolute gem. Here, nature outnumbers man, coastlines remain flawless and private homes play host to some of the world’s most famous stars. The Exumas truly are the ultimate escape. The Exumas are an archipelago of 365 cays and islands, beginning just 35 miles southeast of Nassau. Once called Yumey and Suma (names of Amer-Indian origin), the islands have gone through many changes over the years. Today, they’re divided into three major areas—Great Exuma, Little Exuma and The Exuma Cays. Each offers its own unique Bahamian experience. Great Exuma and Little Exuma are known for their laid-back surroundings, while The Exuma Cays act as a playground for the rich and famous, boasting numerous private homes, luxury resorts and beachside condos. Is the Capital and the largest city of the Bahamas. A popular cruise-ship stop, it’s known for its beaches and coral reefs and its beautiful destinations for diving and snorkeling. This city can also boats the Caribbean’s largest casino. The greatest charm of the island is that it retains many of its characteristic pastel-colored British colonial buildings, including pink-hued Government House. 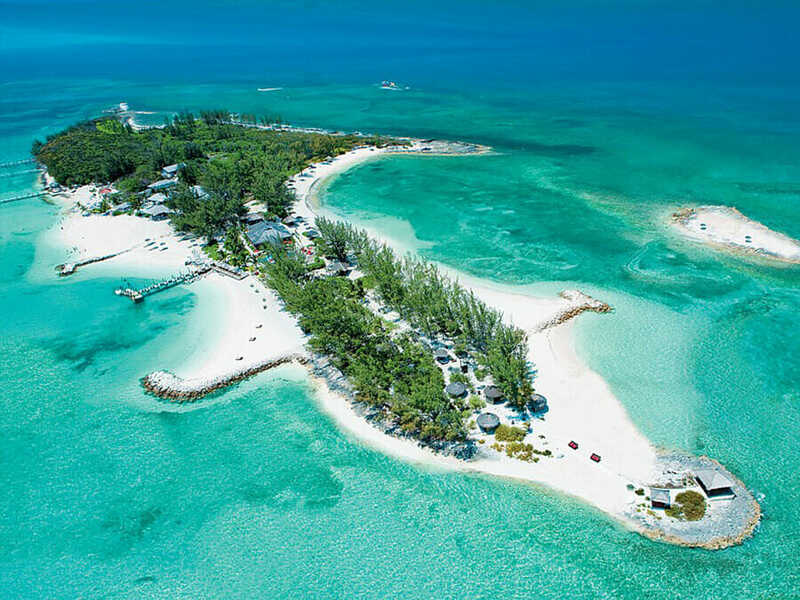 When you charter a yacht to the Bahamas you will enjoy traveling around the 700 islands and cays that make up the Bahamas. The eight to nine hour travel time from Miami will be spent however you prefer – relaxing with your friends, sampling food from a private chef, or simply enjoying the views of the Atlantic Ocean. 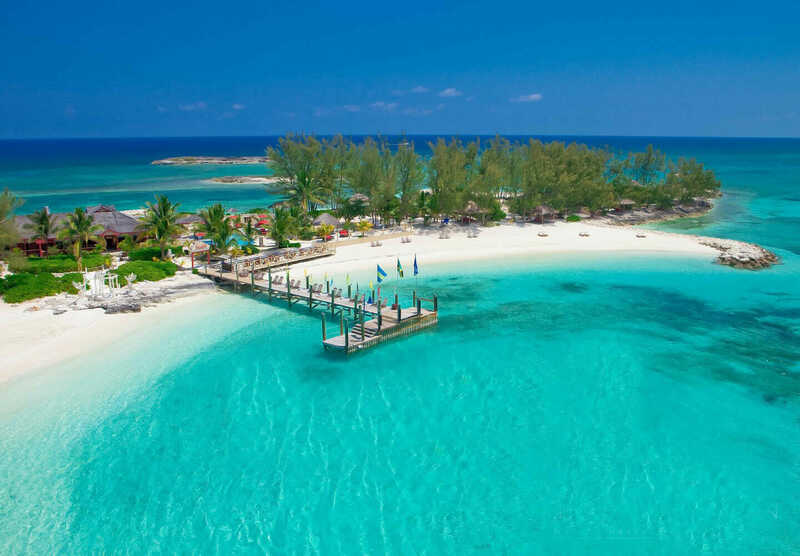 Experience the tropical blue waters and sandy beaches of Nassau & Exumas by visiting Paradise Island, Sampson Cay, Compass Cay, Staniel Cay and Highbore Cay. The turquoise waters surrounding these islands offer stunning clarity, so much that a dropped coin can be visible on the sandy ocean floor from the deck of your yacht. 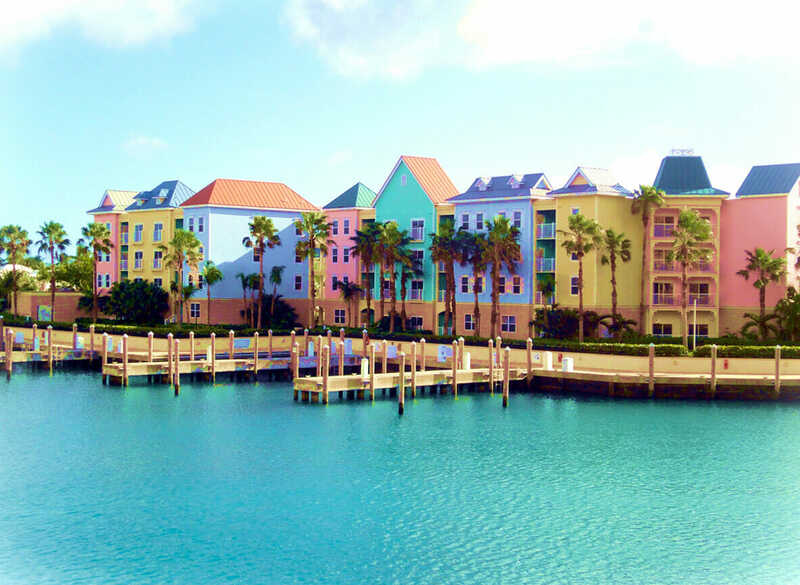 For entertainment, take a stop at the Atlantis Resort, where adventure lovers of all ages can get their thrills by discovering the infamous roller coaster-styled water slides – these are moments you will remember for the rest of your life. In the evening, the Atlantis Resort offers a variety of fine dining restaurants, night clubs and casinos, or we can also prepare a private dining experience at sea. Another popular destination is the Thunderball Cave in Exumas. This awe-inspiring cave, located just west of Staniel Cay in the Exumas chain, has been featured in several films and is known for its breathtaking views of various sea creatures. Our VIP yacht charter team will take you to one of the five entrances of this cave, which can then be explored via scuba diving or by snorkeling. Whether you decide to charter a yacht with friends or family, there is always a endless amount of experiences for any crowd available on our yacht rentals in the Bahamas. This trip is recommended for at least one week. The Bahamas is the ‘Official Home of the Swimming Pigs’. 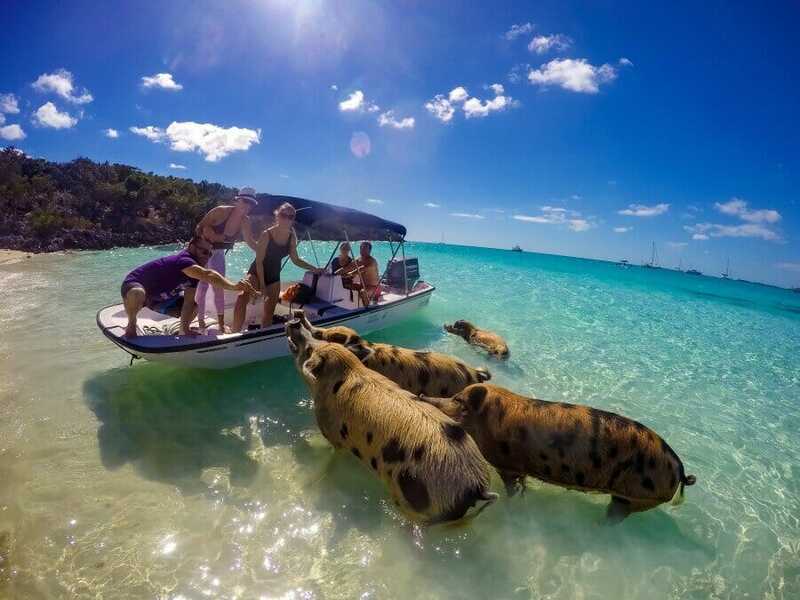 Visitors to the islands are happily embracing the unique and special experience of swimming with the pigs on the uninhabited island of Big Major Cay, which is home to these special creatures and affectionately called “Pig Beach”. The swimming pigs join the vast selection of aquatic activities already popular with visitors to The Bahamas, from snorkeling with tropical fish and sea turtles to shark and eel sightings to scuba diving.